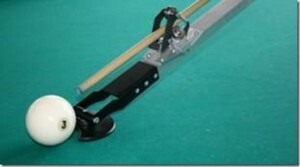 What is the difficulty of a billiard table with pockets? Russian Billiards theorist A.Leman was the first man who talked about this. And it was in the 19th century. However, the problem for some reason left on background, and till recently was not raised. Only at the end of 2013 an American scientist and popularizer of billiards Dr. Dave posted on the Web his research on this subject. Interest in understanding of the difficulty of billiard table revived in Russia too. So, discussions began on the Russian billiard forums. Well it or bad, but the common opinion was not formed till now. In the presented article (consisting of two parts) Sergey Tikhonov examines different approaches to estimate the difficulty of billiard tables and presents his point of view. In addition, he presented the results of numerical calculations that would reveal the relative difficulty of tables for Russian Billiards, Snooker and Pool. According by his results turns out that table for Russian Billiards is stricter than Snooker table only about 15 percent; Russian Billiards table difficulty exceeds Pool table difficulty by about 60 percent. Such estimates are significantly at variance with an existing stereotypical opinion. Anyone who has had the opportunity to learn the basics of billiards – whether Pool, Snooker, Carom, or Russian Pyramid – certainly knows the two basic rules which describe the motion of balls after collision. These are the so-called 90- and 30-degree rules. This study attempts to demonstrate how these rules work for Russian Pyramid using high-speed video. (с) A. Sorokin. When testing the cue, especially in a comparative test, the main problem is subjectively factor. Well, is not given to man to accurately reproduce the motion and force of impact cue. Each time the strike would be any different from the last. Resolve this uncertainty can only mechanical system, which every time will execute one and the same operation, quite accurately repeating the same impact parameters. I admire the enthusiasm of Alexander Sorokin, who made such apparatus. What apparatus? 😉 Judge for yourself. In my opinion the design rather witty and reliable. Here’s Aleksadr article , the description of this machine. The best annotation for this article will be its first paragraph. Another couple of HS-video. Now 24,000 fps.!!! Another couple of HS-video. Now 24,000 fps. Cool !!!. Yes, it is transmitted. It’s a proven fact. In the original sources, Ron Shepard, Robert Byrne, etc. such transfer is evaluated as “slight, 5 or maximum 10% of the amount rotation”. However this video raises doubts about this assessment. The new survey focused on Follow and Draw shot. Again a very interesting process. Please note that by Follow and Draw shot sometimes jumps, even when the cue is almost parallel to the table when hit. Cue ball slides on the first moments of the cloth, and then rises above it, without touching the cloth. Jump in the real invisible, but the video clearly shows that the cue ball comes off the surface and some distance “flies” over the cloth. I do not know whether you can interpret it as a mandatory event for such blows. What do you think? In Iternete are some interesting videos (Video library) of the process, but some important points are not affected there . First of all, the interaction of cue with Russian heavy billiard ball. Now here are man who tries to fill these gaps. Alexander Sorokin from Novosibirsk began a series of experiments with high-speed video. I hope that the results will be of interest to you. I think the process with Russian ball and pool ball are very similar, and even likely with the Russian ball some phenomena will be more noticeable. Bravo guys! For example, note in the the first moment of contact of tip and the ball, the top (about 1 inch) shaft moves toward the center of the ball (the opposite of english), while the shaft to about the middle of its length is moving in the direction from the center of the ball (in the direction of english). Billiard cue a fairly simple device by design. However, wood is a complex and versatile material, it is not amenable to simple mathematical description. Otherwise, it would be very simple – thought the cue on the computer and made ​​a perfect tool for the game ;). In my opinion a much more efficient for understanding the processes in a cue would be high-speed video. In Internet are some interesting videos of the process, but some important points are not affected there . First of all, the interaction of cue with Russian heavy billiard ball. However, only the video does not give a complete picture about the processes occurring in cue shot. Are also important its frequency characteristics, the process of passing waves of compression and tension on it. Bring to your attention an article by Alexander Sorokin about some aspects of these processes. My name is Dmitry Komarov. I started making Russian billiard cues since 1998, and Pool cue since 2004, as my main job. I think I got some experience, and I hope the authority also :). So I decided to create this site, rather blog about billiard cues, I think this theme deserves this. What I plan to do and what would try to avoid at this blog.